MIXED BIG FIVE Ostrich Eggs. 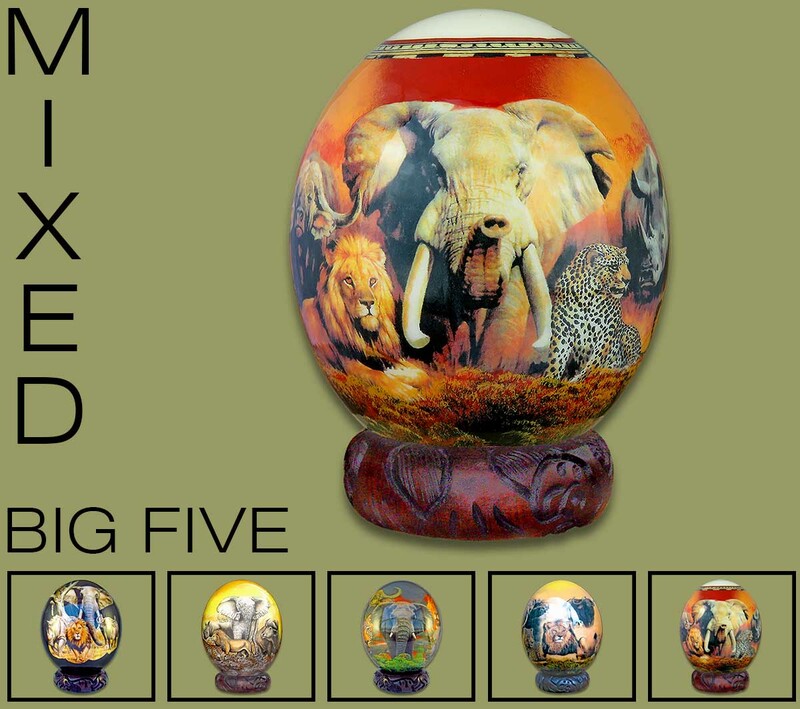 If you order this option you will receive a wide range of different BIG FIVE Ostrich Eggs SIMILAR BUT NOT LIMITED TO the BIG FIVE images shown in this category. All the designs will have a BIG FIVE theme. Does not include the Ostrich Egg Stand - please order the stand separately below.